Monarch Air Group provides private air charter in Carlsbad, CA. Our clients benefit from top-notch service, unrelenting dedication to safety, wide selection of aircraft, and years of experience in chartering private jets. To obtain a free quote, please use our online quoting tool provided below, or call toll free 1-877-281-3051. Monarch Air Group provides private jet charter flights in and out of Carlsbad, CA, USA. Situated about 87 miles south of Los Angeles and 35 miles north of San Diego, Carlsbad is a city in southwestern California, on the Pacific coast. Once a whistle stop on the new California Southern Railroad it was established as a city in 1910. Named for the world-renowned 19th century spa in Europe, Carlsbad’s history shows the heritage of different traditions, ethnicities, and cultures. 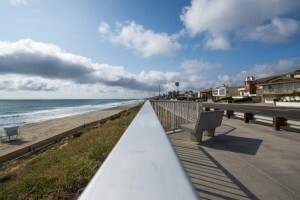 Being a picturesque coastal city with a population over 107,000 people Carlsbad has thriving recreation, tourism, food and accommodation services, scientific, professional, and technical services, retail and manufacturing industries. Nicknamed the “Village by the Sea” Carlsbad is well-known for its crystal clear waters and beautiful coastal and non-coastal attractions. While being in Carlsbad make sure to spend a day at the South Carlsbad State Beach, walk through the historic Barrio areas and Carlsbad Village or visit the Flower Fields. The Agua Hedionda Lagoon, Buena Vista Lagoon, and Batiquitos Lagoon offer watersports activities and great hiking. Known as one of Southern California’s great golf destinations Carlsbad is home to the La Costa Golf Resort and Spa, Park Hyatt Aviara Resort, and Rancho Carlsbad Country Club. The city is served by McClellan-Palomar Airport (CRQ) used originally by smaller helicopters and planes, and by Tijuana Airport (TIJ), San Diego International Airport (SAN), and John Wayne Airport (SNA). 10. FUL, Municipal, Fullerton, United States. 11. HMT, Ryan Field, Hemet, United States. 12. JDY, Heliport, Downey, United States. 13. JID, City Of Industry H/P, Los Angeles, United States. 14. JNP, Heliport, Newport Beach, United States. 15. JOR, The City Heliport, Orange, United States. 16. JRD, Heliport, Riverside, United States. 17. LGB, Long Beach Municipal, Long Beach, United States. 18. MYF, Montgomery Field, San Diego, United States. 19. NKX, Miramar MCAS, San Diego, United States. 5. Tamarack Beach Resort, 3200 Carlsbad Boulevard, Carlsbad. 6. Dolphin Hotel, 133 South Coast Highway, Oceanside. 8. Carlsbad Inn Beach Resort, 3075 Carlsbad Boulevard, Carlsbad. 9. Tamarack Beach Resort, 3200 Carlsbad Boulevard, Carlsbad.